If you've ever been around someone with a peanut allergy or if you suffer from one yourself, you know how dangerous they can be. Peanut allergies affect one to two percent of the population. These allergies are typically lifelong, and in severe cases can even be fatal. So it's important to learn more about how these allergies develop. Children can actually develop an allergy to peanuts without even eating them. Studies have linked peanut allergies to exposure to peanut proteins through breast milk or house dust. But new research is uncovering a new way children may develop this allergy prior to ingesting peanuts: through skin exposure. This research, carried out at the Mount Sinai Hospital and published in the Journal of Clinical Investigation, is shedding new light on the allergy through studies done with mice. They found that repeatedly exposing the mice's skin to peanut protein extract caused the mice to become sensitized to it. Once they were exposed to peanuts again, they had severe, whole-body allergic reactions. But because the researchers knew that skin reactions were contributing to the allergic reactions, they were able to find a way to combat the reaction. Cecilia Berin, PhD, Associate Professor of Pediatrics at the Icahn School of Medicine at Mount Sinai explains, "The peanut protein responsible for most allergic reactions in humans is seen as foreign or dangerous by the immune system of the skin. Blocking those immune pathways activated in the skin prevented the development of peanut allergy in the mice, and our next step will be to confirm this in humans." She continues, "If we identify how the immune system recognizes peanut as a danger, we may eventually learn how to block that pathway and prevent the food allergy altogether." 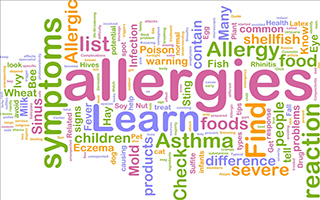 The team's research is an important step on that journey towards preventing allergies. But they haven't arrived yet, so make sure you use caution with peanuts if you have a child who hasn't yet been exposed to them. Make sure they don't touch the peanuts or inhale their dust until you're ready to let them actually taste them. And let this be another reminder of just how complex our skin is. It's linked so closely to our immune system, and what we put on the outside can easily find its way inside. 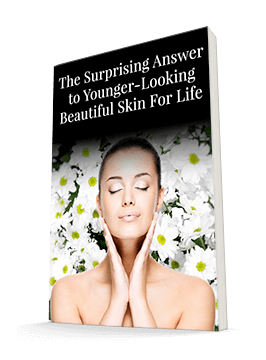 Make sure everything you're putting on your skin is healthy and non-toxic.